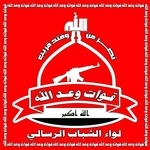 Liwa al-Shabab al-Risali is a Shi'a militia that has arisen in 2014 in response to the renewed Sunni Arab insurgency in Iraq. 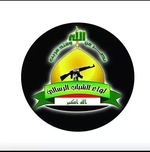 Describing itself also as the 'arm/armor of the marja'iya' (marja'iya= Shi'a religious authority), it claims affinity with Muqtada al-Sadr's father Ayatollah Muhammad Muhammad Sadeq al-Sadr and Sheikh Mahmoud al-Tamimi, a prominent local Shi'a cleric from Ibrahim bin Ali (a locality 16 miles from Baghdad) who was assassinated in 2004. 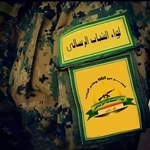 In keeping with this local reverence, the group primarily appears to be operating west and north of Baghdad, including fighting with Sunni Arab insurgents in the al-Karma district of eastern Anbar province, as well as in al-Dabitiya in north Baghdad province.